Grandmaster Steve Lee Swift has 50 years of martial arts experience. He has dedicated himself to mastering the martial arts, training for over 42 years in Wing Chun Kung Fu and 8 years in Okinawan Karate. Grandmaster Steve Lee Swift has been recognized as an martial arts expert and received many awards and certifications from his peers. 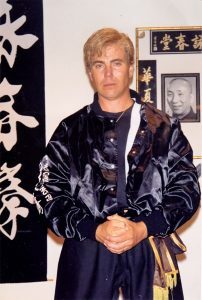 Grandmaster Steve Lee Swift was the first Senior Instructor to be certified by the elders of the VING TSUN Athletic Association and the Yip Man Athletic Association. He has been inducted into the United States Instructors Hall of Fame on multiple occasions, as well as honored and inducted into the Wing Chun International Hall of Fame. He has also received many other prestigious awards for his achievements in martial arts. Grandmaster Swift has been honored in 278 news and magazine articles on the Art of Wing Chun, including articles in the respected martial arts publications Inside Kung Fu and Black Belt Magazines. Several publications published articles about Grandmaster Steve Lee Swift when he saved the lives and health of multiple men and women who were the victims of assault. Thanks to Grandmaster Swift’s intervention, these individuals can still tell the story of their encounter today. Learn Real Wing Chun Kung Fu! Two Grandmaster Wing Chun gyms are open in Minnesota and Florida. Classes are offered at his new location in Minnetonka, Minnesota and from his top instructors in Tampa, Florida. Classes are offered 6/7 days a week for adults and children. If you can’t take classes in one of the two locations, you can still learn from Grandmaster Swift through his extensive line of Wing Chun Kung Fu Training DVDs!